Mobile app KPIs are essential for the company so that they can gauge the performance of their mobile apps and improve their mobile technology. If I’ll say that in the present age we are engulfed by mobile apps as much as by oxygen, it would not be an overstatement. The reason behind this statement is with expansion of mobile technology, apps have roped into almost all the things that we use in our day-to-day life. Mobile app development companies are trying their level best to use all the analytics and statistics to optimize their app development so that the customers have their money worth every time. We see around us that some of the mobile apps are blockbusters and some are utter disasters even after having more or less the same features and specifications. So what can be the possible reasons behind a successful mobile app? There is no specific answer to this question as the success of the app depends on the goal of the company and the things they are trying to achieve with the app. Being a chartbuster and getting zillions of downloads is an aspiration that is “seldom achieved”. Because for this, the company needs to have measurable goals and clear key metrics so that they know how the app is performing at each level. By tracking the key performance indicators i.e. the KPIs, actionable solutions can be done that will help in enhancing the user engagement level of the app. Thus the key performance indicators are more than vital in gauging the capability of the app and also tell the changes that are needed to make the app successful at the appstore. Here is the list of the KPIs that worked for the companies in the past year i.e. 2016. It’s important for the companies in this hyper competitive scenario to look at the daily/weekly/monthly/annually revenue as the indicator of the future perspective of the app and its success. Stats also reveal that almost 95% of the users stop using the app within 3 months of installing it, unless the app is amazingly addictive or useful. Therefore, measuring the lifetime value of the user is essential as it also includes magnitudes such as monetization of the app and retention rates. LTV is also critical in understanding the behavior of the mobile app users over the period of time and is also a great predictor of the app retention rates that will be used to determine the ROI. It’s crystal clear that if more numbers of people are using your app, they are giving value to the specifications and features the app has and it is providing efficiency to their lives. Because that worst thing that can happen to any app after getting installed is getting into the app icon graveyard. App usage depends on the demographic area, mobile devices whether tablets or smartphones and the mobile OS platform. It is also a vital mobile app KPIs to gauge the engagement of the app and get proper insights about its strengths and weaknesses. Measuring app usage mobile app KPIs will help the company to focus on improving the app experience and fill up the potholes of weaknesses. This is the KPI that has made its presence all through the previous year. It’s important to keep a track records of daily and monthly installs because if the installs remain stagnant, there will not be any revenue generated from the app. Also from the marketing point of view, app installs are vital in evaluating the effectiveness of the advertising and the marketing channels. Therefore, in order to upscale the sales of the app, the company needs to keep an eye and constantly check the mobile app install KPI so that they can tweak their marketing campaigns as per requirement. This will help in bring more positive results and changes would be made according to the priority. 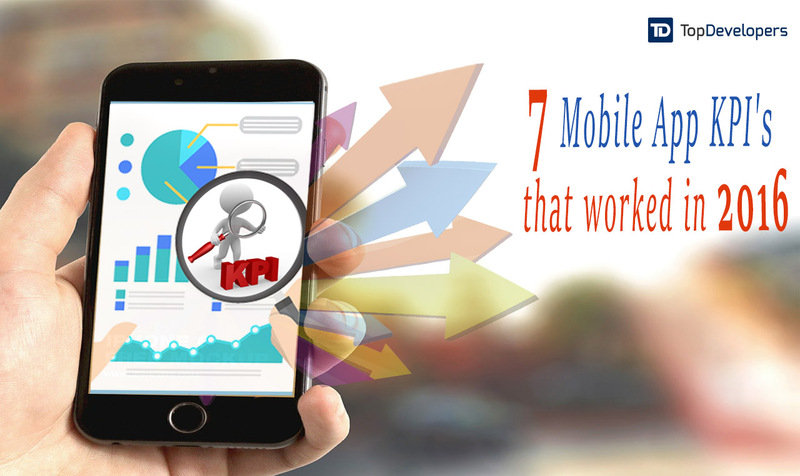 In app referral mobile app KPI is one of the most elite one that flourished profoundly in the year 2016. More and more companies have opted for it and it has proving beneficial for them. The power of direct referrals is very substantial as the customers can tell their friends about your app thus saving your various marketing efforts. In-app referrals are also important as a person is more likely to trust someone he/she knows rather than trusting a marketing campaign. Tracking the in app referrals and encouraging them could prove vital in understanding the steps of mobile app success. In addition to this, positive word of mouth marketing of your app will help it getting positive reviews and thus increasing its rank in the app store. It is important for each and every company to keep a check on its app events and funnel performance. Event tracking is vital as it is the best way to ensure that a specific task in the mobile app works as expected. The event refers to the interaction of the customer with a with a niche specification of the app. In addition to this, a funnel is a set of instructions that the user uses in sequential order until the task in the app is completed. Therefore, it indicates the particular factor of how people react within the funnel and the frequency of their exit rates. Analyzing this, the app developers in tandem with the designers can improve the funnel performance and decrease the exit rates. This is perhaps the best strategy for the mobile app marketers to maximize their revenue per paying customer. The mobile app KPIs will also determine ways to encourage the non paying users to conduct on your mobile application. The Average Order Value can be tracked down in two typical ways i.e. AOV per user and AOV per paying user. With AOV, you can have an overall calculation and then divide the app revenue in order to know the exact number of customers using your app. Apart from this, you can also divide the AOV by the total number of users actually transacting through your app. Even the wisdom of the words states that “Timing is essential”. So to determine the user acquisition, the mobile app needs to respond well with the minimum of slack time. This mobile app KPIs helps the company to provide a seamless environment to the user so that they can launch the app and do their specific things without a second thought. There you have!! These are the most important and effective mobile app KPIs that left their mark on the world of mobile technology and mobile app development. But as it is a different ball game every time, be sure about the nature of your app and then apply these analytics to see your business scale newer heights every time.